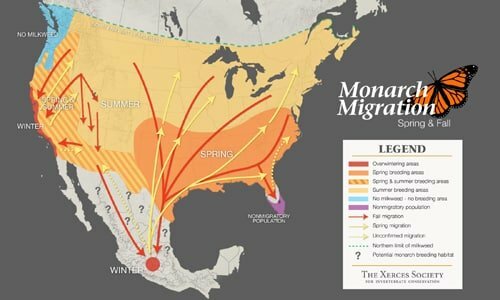 The children & grandchildren of the overwintering Monarchs in Mexico have traveled thousands of kilometres back up through the United States and into Canada and are now being seen at their northernmost limit. The northern limit of monarchs is determined by the range of their host plant, milkweed, on which they lay their eggs, which can be as far north as Thunder Bay. 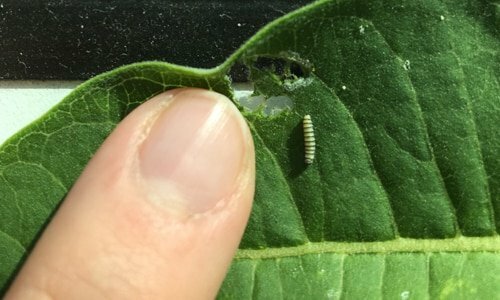 We found our first Monarch eggs of the season on June 5th on Common Milkweed that grows on our property. 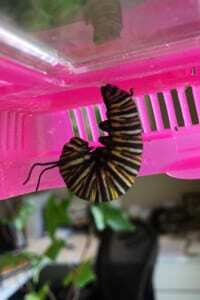 The caterpillar in the photo below is only a few days old! 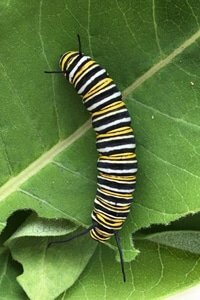 The Monarchs that are seen laying eggs now are the great, great grandchildren of the monarchs that flew down to Mexico in the fall of last year. 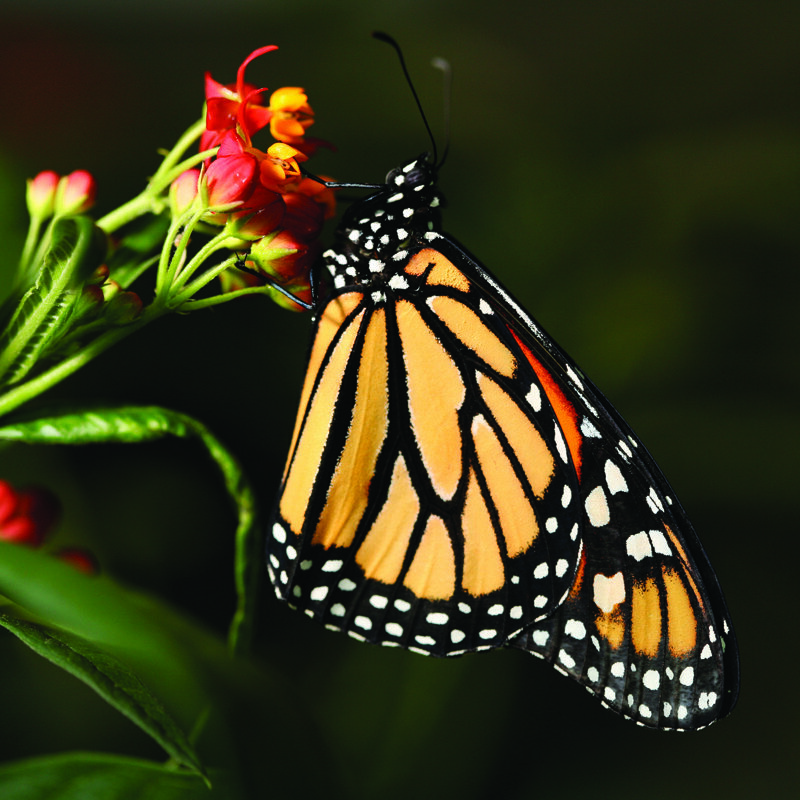 Monarch butterflies have two different generations: the winter generation that overwinters in Mexico lives for 6-8 months, and the summer generation that typically lives 6-8 weeks. Our six voracious caterpillars did not stop eating for two weeks straight! The caterpillar below on the left is around 14 days old and made its J shape (below, right) shortly after the photo was taken! The caterpillar then sheds its skin to form its chrysalis. We now await our first Monarchs of the summer to emerge on Canadian soil! The grandchildren or great-grandchildren of these monarchs will fly back to Mexico in the fall dreaming of the next Canadian summer!